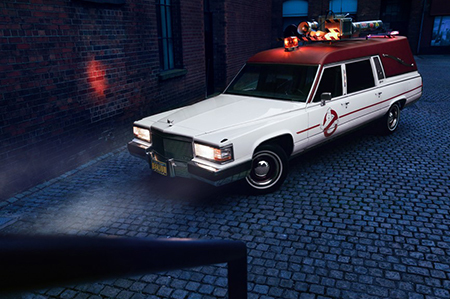 When Hollywood decided to make a new Ghostbusters movie there was one thing that was certain to remain in the lead role and that was the infamous Ecto-1 Cadillac. 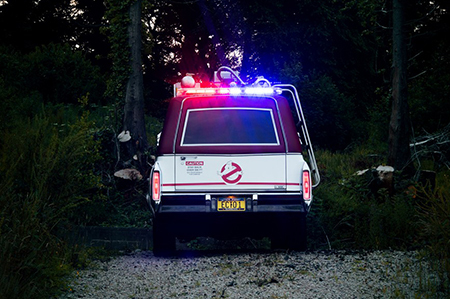 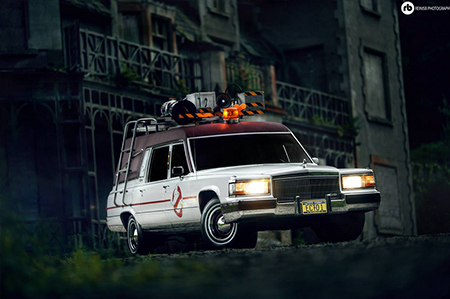 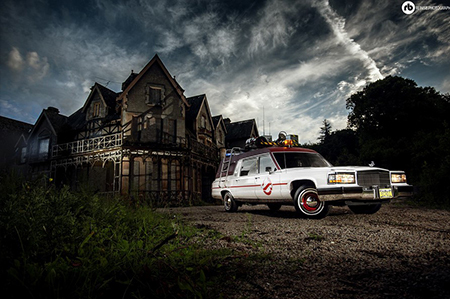 This Ghostbusters Ecto-1 replica is based on the car from the recent 2016 movie directed by Paul Feig and starring Melissa McCarthy and Kristen Wiig. 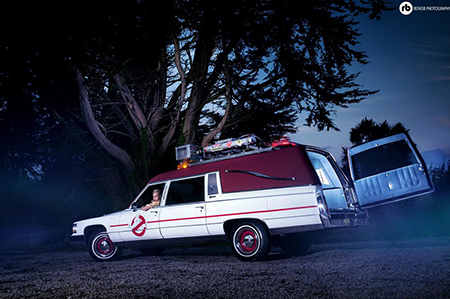 This new Hollywood icon is a car that brings smiles to adults and children alike and with its loud siren and flashing lights it’s a real show stopper. 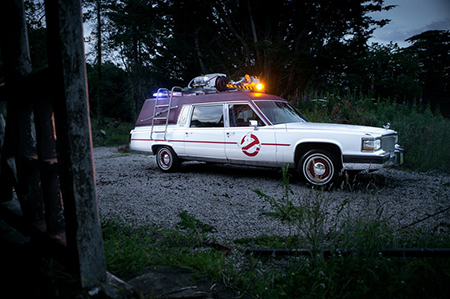 Music can be played from the exterior speaker and there is a PA system on board too.